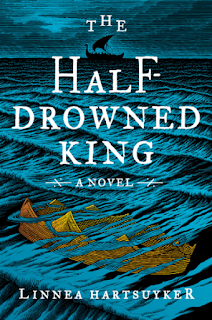 The Page 69 Test: "The Half-Drowned King"
Linnea Hartsuyker can trace her ancestry back to Harald Fairhair (Harfagr), the first king of Norway. She grew up in the middle of the woods outside Ithaca, New York, and studied engineering at Cornell University. After a decade of working at Internet startups and writing, she attended New York University and received an MFA in creative writing. Ragnvald burst out laughing and then closed his mouth quickly. This was the last thing he expected of such a solemn girl. She yanked her hand from his grasp and pulled herself up to her full height, as tall as he. “I do not like to break my promises,” she said, still stiff and formal. “That is what I want too. Promise to return to me, no matter what happens,” she said, softening. She reached toward him, but stopped for a moment, before touching his cheek as she had earlier. Ragnvald pulled her close and kissed her on the lips, a kiss she was too surprised, or inexperienced, to return. When he let her go, her smile had turned pleased and knowing. She touched her lips as she bid him good night. Both Ragnvald and Hilda are proud and touchy, and reluctant to expose what they really feel and want. These types of characters are some of my favorite to write because they spend so much time getting in their own way. I think this scene is a good example of Ragnvald both at his best, trying to be kind, honest, and honorable with his betrothed, and while also showing his flaws. What readers won’t know from reading this page is that Hilda has rivals for Ragnvald’s affection. 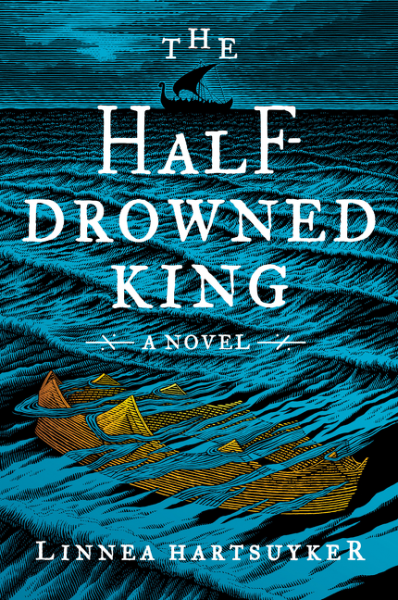 The Half-Drowned King is full of battles and political machinations, but it also hinges on the relationships between people. Viking polygamy and arranged marriages have given me the opportunity to explore different kinds of love, from passionate love-at-first-sight, to the love that develops over long marriages when two people spend a lifetime working toward the same goals. I will leave it to my readers to discover what kind of relationship Ragnvald and Hilda have and how it develops over time.